It probably has the most intuitive configuration, but it is expensive. The full UTM capabilities are very useful for a mid-size business. The box can control viruses and some types of malware when users browse over the internet. Also, it has improved the correct use of the internet within the company. Finally, it can provide isolation within the LAN for different departments e.g. financial, sales etc. The problem is the high cost. Also, two important functions that need to be improved are the deep reports and visibility. 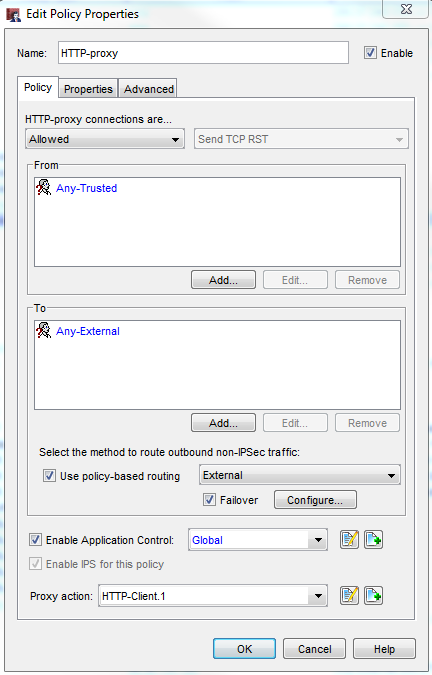 It's very simple, and easier, if you are moving from a previous version of WatchGuard. We've not had any stability problems in more than two years. Some boxes provide cluster configurations with up to 16 boxes, and we've never had a problem. We also looked at Fortinet but the problem with them is not the firewall, but the impact in the full UTM traffic. WatchGuard is less susceptible to this negative impact. It's very simple. You can preconfigure the box, send it to another site, and deploy it remotely. It was in-house, and we now provide WatchGuard as a service. Our ROI is bery good. Also, when you consider usability, and trade up alternatives in the same brand, i.e. WatchGuard. Financially, this depends on many factors, such as the complexity of the network. In terms of man-hours, an installation can take anywhere from four hours to 25 ]for a mid-size business, so the price can be very different depending on the client. I would recommend this product, as it is a very flexible one with probably the most intuitive configuration. Also, it's very easy to deploy in almost any scenario.